This was a one night stand. We called from the road and was given a site number because I estimated arrival time of about 1800. When we arrived, we noticed that the park was less than half occupied. Our site was perfect. One big note, if you plan to arrive after 1600 and if you call from the road, ask the person in the office for the bath and laundry room codes. We didn't need them but if you do and don't have the codes, you are out of luck. Also, WiFi is available but, you need a code for it also. And about the complaints about the train and road noise. I don't understand why people expect complete silence when they stay on a military base, especially a base like this one in the middle of town. As for the trains, they could run all night for all I care. I love it. This is our first overnight stay at this campground and would stay here again. This was our second stay at this park. It's roomy, open, and flat. Concrete pads are nice. We were here for only two nights so didn't use the laundry. Staff is friendly. Hookups all worked well. Be sure to use a water regulator as the pressure is quite high. They have strict rules about making sure nothing is placed on the grass, including hoses and our satellite dish. I had to set the dish/tripod up on the concrete, so had to weight it down (gallon milk jug filled with water), rather than stake it down. There are some comments about train/traffic noise on previous reviews. We have double-pane windows and couldn't hear any noise. Beach is only a couple of miles away, which is nice. Overall a nice experience, and we'll be back. My first time camping here, this park was built after Katrina and is well laid out with very level concrete pads to park on. Park workers are very friendly and courteous. Had an electrical problem 20 amp 110 receptacle GFCI was not working and it was repaired within an hour. All washers and dryers worked and cost less than any other park we have been at. The laundry room was very clean. Now for the bad, the park is wide open, no trees at all, across the street to the north there is a large parking area for tractor trailers and the reefer units are running all night. More trains here in Gulfport than I cared to listen to at all hours through the night, again with no trees it was very noisy. Although the restrooms were clean the showers were not. Doesn't seem the staff likes to clean showers. We are here for a month leaving on the 2nd of February, I will not be back, I will stay at a commercial RV park down the street. W.P. 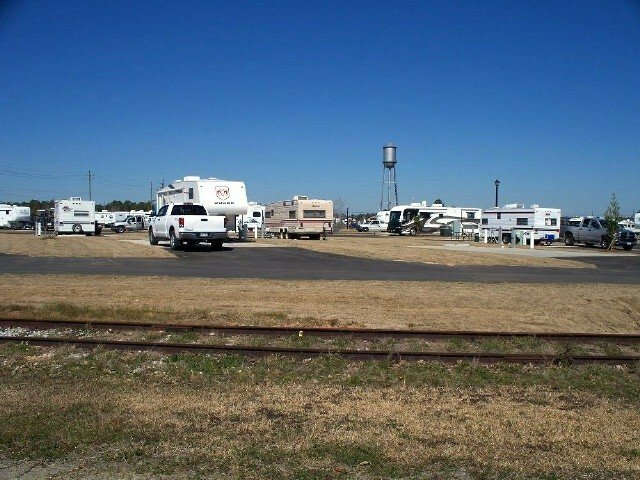 left this review using the Directory software: - This is a very nice and clean RV park. Our stay was for a week in mid-April 2013. 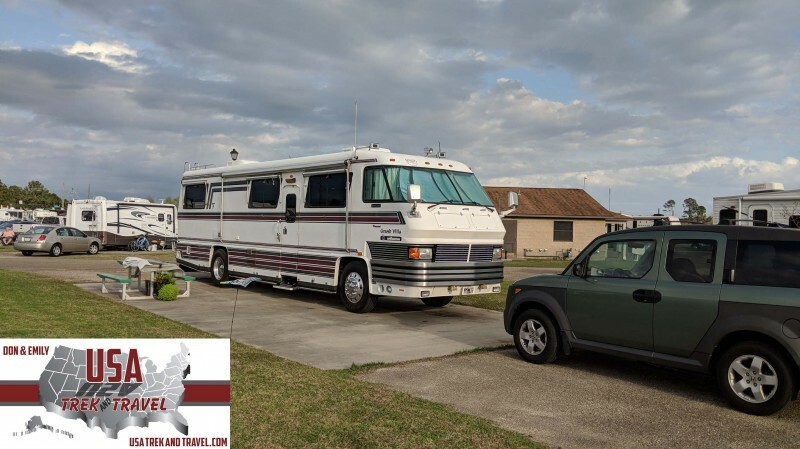 The only problem was my motor home sticker had expired and we were told to park in the parking lot next door and register the motorhome. The sticker on the van was still good. The parking lot was designed for cars and not for motorhomes and especially towing. Luckily a couple of cars were pulling out as we entered so I blocked part of the drive and 4 parking places. 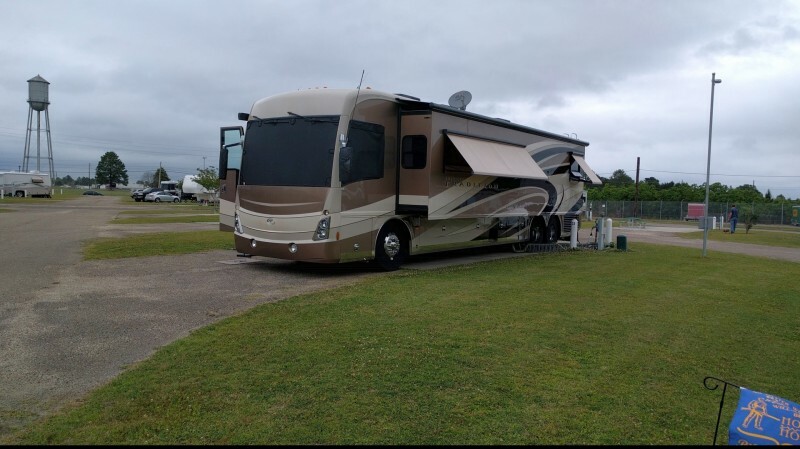 I am not critical of the security requirement of registering, but of the parking not designed for RV’s. Fort Jackson in our home area and where our vehicles are located has closed the registration office and no longer requires post registration. This is the reason my motor home sticker had expired. Modest campground. Very good facilities - very clean, good water pressure, cable, level concrete pads, etc. Were not bothered by noise from music or train whistle, just from traffic from road next to campground - motorcyclist continually gunned motor each time he/she went by, which was often. Other than that small annoyance - no noise problem. Probably won't have heard him/her if windows were shut. We were lucky and got a pull thru near the office. Easy check in at RV office but lengthy amount of time to get "visitor" pass. Gate guard didn't see joint base sticker on coach so he sent us to get visitors pass, which we found out later that we didn't need. Staff was courteous and efficient. Commissary is a decent size and had most of what we needed. Subway right next door when you don't feel like cooking. Great place for the price. Will come back again when in this area. P.C. left this review using the Directory software: - The facilities are nice - nothing fancy but much more than just adequate. Web site says weekly rate is $100 but we were charged $120 and $120 is posted in the office. 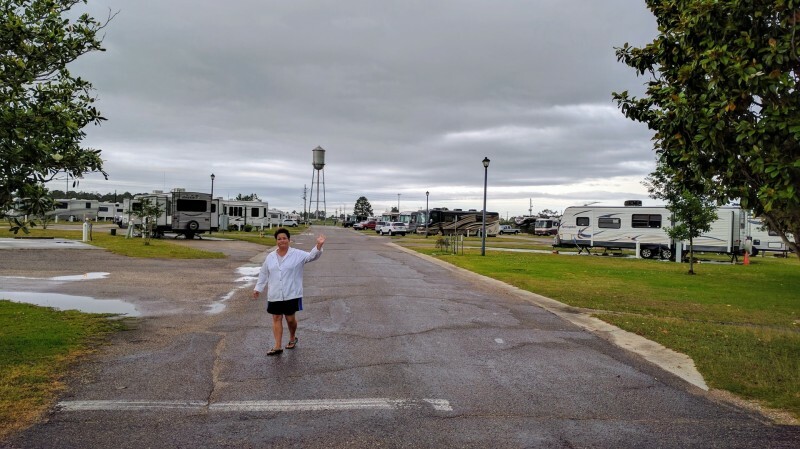 Spaces are large; power is good; our water pressure was fine; campground is extremely clean and well kept. Staff is very friendly and helpful. Commissary and BX are good - we never felt the need to go to the AFB for shopping. WiFi is only OK - tends to go in and out fairly frequently. We won't return for 1 reason: planes, trains and automobiles - you get noise from all of them. It's not the CG fault of course, but this is the noisiest place we have ever stayed. Trains with loud whistles 24/7; heavy truck traffic on an adjacent road; sirens day and night; most irritating - a local off base "recreation center" next door to the Pass Road gate plays music and literally ear shattering levels several times a week. Since it's only a few hundred yards from the CG you get full "benefit" of their music selections. A shame since otherwise this would be a really good place to stay. Easy to find and convenient to I-10. Easy check-in and Shirley at office was very pleasant. No hassle getting in gate as we already have a base sticker. Nice to have commissary and exchange close by on base. All sites for short term stays are back in while the long term stay folks get the pull throughs. Go figure. Lots of road noise close by as well as seemingly non-stop trains with whistles blaring even at 6:00 AM on Sunday morning. Surprised no one mentioned that in their reviews. My site (9) had very low water pressure. This is not somewhere I would chose for a destination but it's certainly more than okay for a few days stay. Bathrooms were not heated even though it was in the 40's overnight during our stay. Wifi worked great and was easy to connect to. Small, clean laundry and only .75 for washers and dryers. The famcamp is a nice facility and the staff is very friendly. However, we were traveling with a non-military (but retired govt) couple and to get them on post was a little bit of a chore. So if you travel with non-military be sure that you have everything you need (insurance cards, registration, length of stay, etc) for however long you are staying so you don't run into problems like we did. 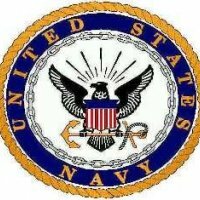 Getting on base is not as user friendly as Corpus Christi NAS or other military bases or posts that we have been too.